Applications open this March and April for the 2019/2020 class of Schwarzman Scholars. There are two sets of opening and closing dates for Schwarzman Scholars applicants to accommodate different timelines for graduate school applications in China. Applicants who hold passports from Mainland China, Hong Kong, Taiwan and Macao can apply online from 1 January to 31 May 2018. Applicants holding a passport from any other country, can apply from 16 April to 11:59PM Eastern Daylight Time (EDT) 27 September 2018. Designed to prepare the next generation of global leaders, Schwarzman Scholars is the first scholarship created to respond to the geopolitical landscape of the 21st Century. Enrolling the inaugural class in 2016, the program gave the world’s best and brightest students the opportunity to develop their leadership skills and professional networks through a one-year Master’s Degree at Tsinghua University in Beijing – one of China’s most prestigious universities. That tradition is continuing with the 2019 Schwarzman Program. With a $350 million endowment, Schwarzman Scholars will be the single largest philanthropic effort ever undertaken in China by largely international donors. 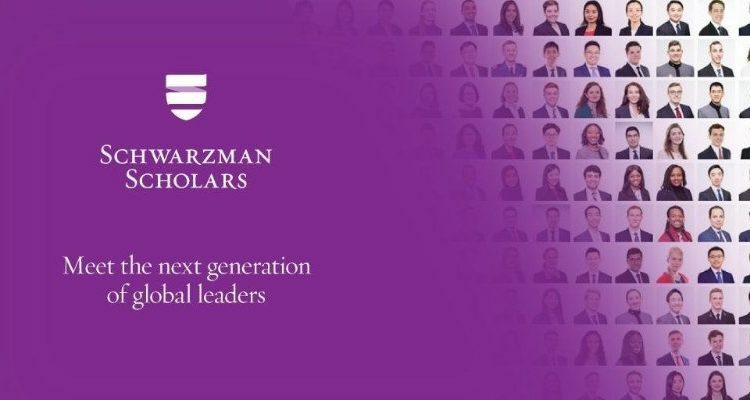 The extraordinary students selected to become Schwarzman Scholars will receive a comprehensive scholarship. Undergraduate degree or first degree from an accredited college or university or its equivalent. Applicants who are currently enrolled in undergraduate degree programs must be on track to successfully complete all degree requirements before orientation begins in 1 August 2019. There are no requirements for a specific field of undergraduate study; all fields are welcome, but it will be important for applicants, regardless of undergraduate major, to articulate how participating in Schwarzman Scholars will help develop their leadership potential within their field. This requirement is waived for applicants who graduated from an undergraduate institution where the primary language of instruction was English for at least three years of the applicant’s academic program.